Recently our team had the opportunity to check out the beta of the third person MMO fighting game, ArcheBlade, and now we want to let you know the impressions we gathered about the game. 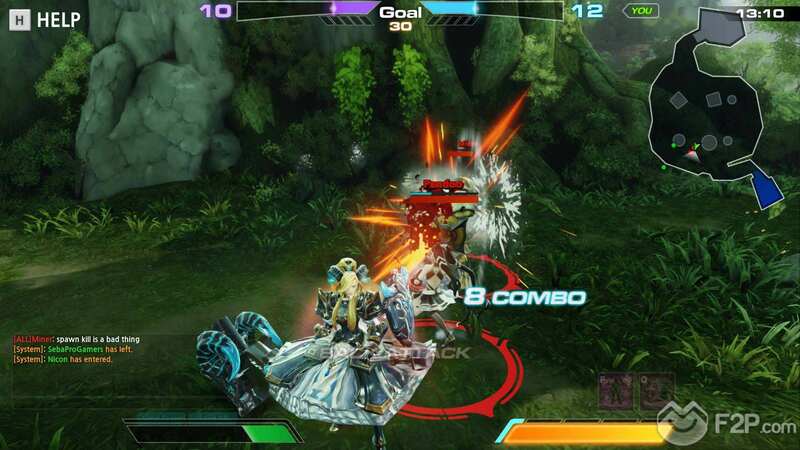 ArcheBlade is a 3rd person fighting game developed by CodeBrush Games, where players will participate in battles against other players controlling characters based on the Korean fantasy novel 'ArcheBlade'. In the game players may choose from a total of 13 unique characters at launch, with more to be added regularly, each one with their own weapons, skills, and a unique gameplay style. Swords play-style is different from guns, or scythes, and you must adjust your play to match that. 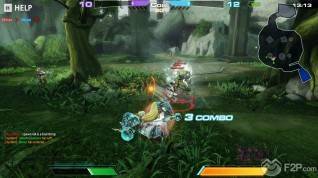 ArcheBlade focuses on exciting combat that use a combo system which provides the game with lots of different attacks and special moves. The game includes the typical team deathmatch mode, a free for all mode, as well as a capture the pylon mode. 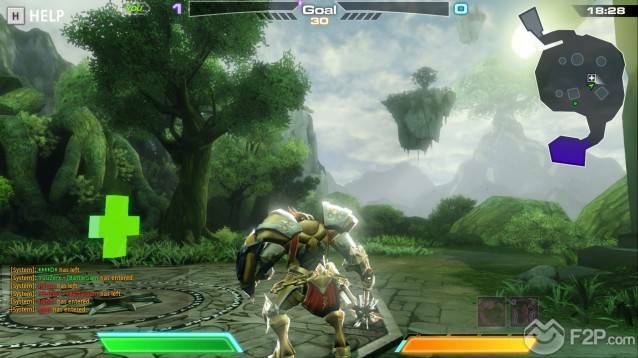 ArcheBlade uses the Steam functionalities, including achievements, in-game voice and more. 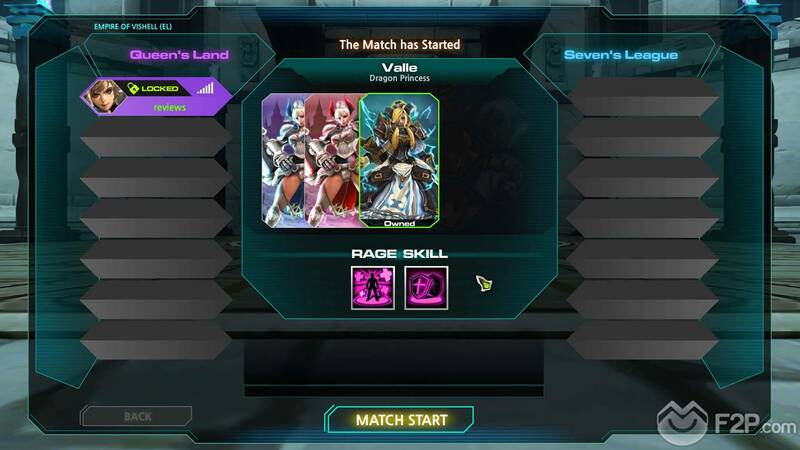 From the main menu, players can choose to join a random match by pressing the "Start Game" button, start a training session or join an active game server through the network play button. The first thing we tried out was the training mode, where 11 characters were available to try out. The training mode was a little simplistic, without any options the only thing that was available was a training dummy to try out different attack combos and that's about it. 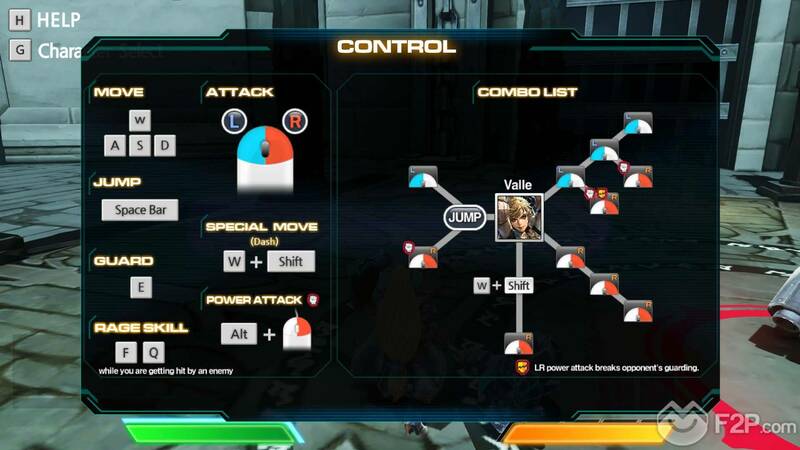 You can press the H key to learn how to do the character moves, combos and special attacks but the characters only have a few different attack variations with little room for experimentation as the combos are short and simple. After trying most of the characters, we decided that our character would be Valle, the Dragon Princess, a defensive character with the appearance of a semi-dragon girl armed with a huge hammer. Each character has 2 unique abilities that activate when you fill a power bar, which increase when we attack our enemies. These skills are very powerful, and can change the course of a struggle if they are used properly. For example Valle has an aura of regeneration, and a shield that prevents damage for a few seconds. 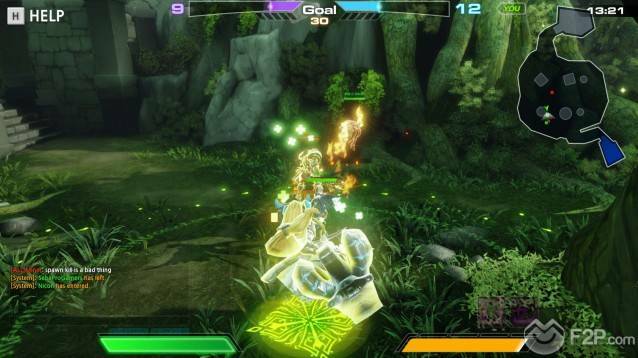 Other characters have skills that are able to generate invisibility fields, plant mines, or stun enemies. A detail that we found interesting is that the characters that use guns or cannons, have a limited number of bullets by charger, which have to be reloaded when it’s empty (refills are endless), losing valuable seconds doing it. After practicing for a while with our character, we decided that we were already prepared to engage in combat. The game has 3 different maps, each with a unique game mode. The first map was a typical team deathmatch, two teams of three players face off in a battle to get more kills than the opponent team, or reach a certain number of kill before the time is over. Simple. 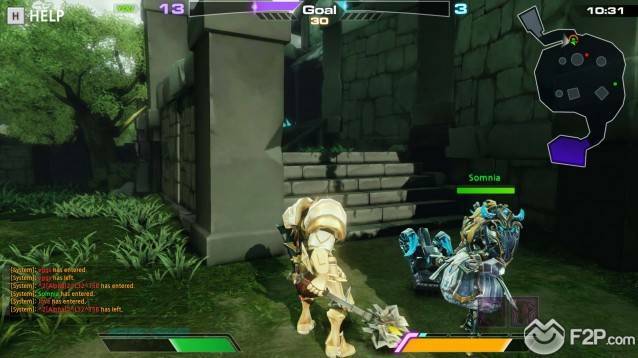 The battles of this mode are frantic, since map is very small, and that teamwork is very important, since with a little combination you can completely nullify an enemy and defeat him easily in seconds while it can do nothing. In this way we realized the importance of block and dodge attacks, because those who control these abilities have a lot of advantage over those who rush into combat without thinking too much. After a few games we tested the second map, a Free-for-all mode that unlike the first map is quite large and takes place in a castle with various levels. This game mode is chaotic, there are no allies, and all are enemies. Then we tested the Netherdale map, which is set on an active volcano and the objective was capturing pylons and holding them in order to gain points, much like conquest modes that you would find in FPS titles. In this map team play and being attentive to what happens around us, are the decisive factors to winning, making this map is the most strategic of all. The map that we liked most was the first, because the action is immediate and intense. In Netherdale we had a lot of fun too, but you depend too much on how your team play, which can become frustrating. The map that we liked the least was the Free-for-all mode, because it is too chaotic, and it is annoying to have an almost defeated enemy, then another player comes and kills you both without any difficulty. Also on this map ranged characters have some advantage, because when other players are engaged fighting, they can kill them safely from the distance. The combat shows certain details that we didn't like. For example, enemies may enter at the point of the map where you respawn and kill you without giving you a choice, quite an unfair thing. Similarly if two characters stun you constantly, you can do nothing, since while you're stunned, you can’t use any skills, which is somewhat frustrating because you're unable to do anything to prevent your defeat. Another detail that we didn't like was the fact that on your life and shield bars do not regenerate out of combat (some skills heal life, and power-ups that heal health may appear in the map). I say this, because if you defeat an enemy and you're hurt, when your enemy respawns, you continue with the same health and shield. Finally, we had the feeling that the game was a bit unbalanced with certain characters, because they killed the other characters with astonishing ease. It is also possible that their players were very good and we rather bad. ArcheBlade runs on the Unreal Engine 3, providing fantastic graphics and impressive visual effects, as well as some smooth animation and fluid combat moves. 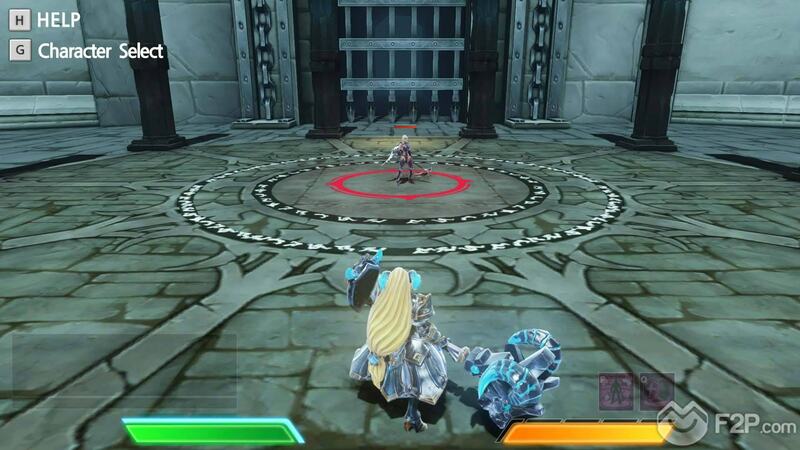 The graphics are colorful and detailed characters and environments, which have a strong anime aesthetic. The combat is very fluid, and the visual effects are constant, so we will see detailed lightning, fireballs and explosions which delight us. The sound of the game without having a spectacular soundtrack, makes you feel that you are participating in heroic combat, although sometimes can be a bit repetitive. In conclusion ArcheBlade is a bright new title with a lot of potential, but is way too rough around the edges. 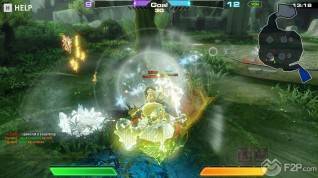 With outstanding graphics and animations, intense action and a variety of unique characters, the game has several things that should be improved, like more variety of game modes and maps, and we believe that the combat should be more polished. However if you like fun and frantic action MMO, we recommend you to try it, because the game is free-to-play and you do not lose anything by trying it.